Health literacy should be more than just understanding health care terminology, but it is a good starting point. 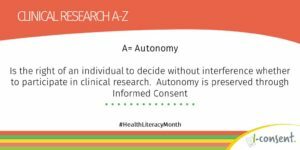 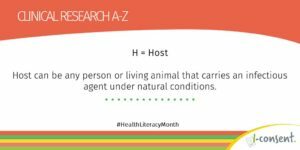 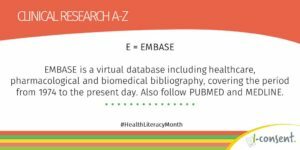 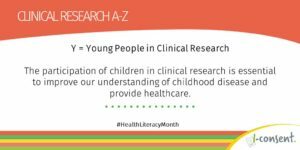 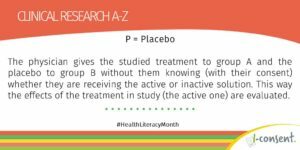 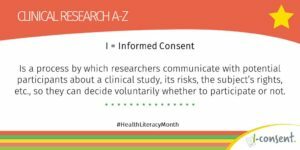 i-CONSENT has developed a Clinical Research A to Z on the occasion of the #HealthLiteracyMonth celebrated in October. 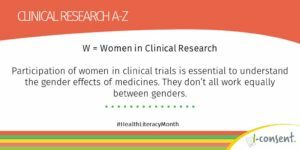 Accompany us through some of the points raised: women and children in clinical trials, digital technologies, informed consent and more.